Capture spontaneous, original, interactive, brilliantly fun moments on film! « Photo-Box » is a photo booth… without the booth. 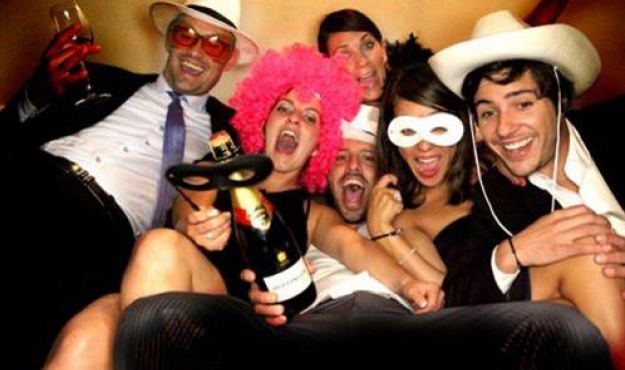 Guests can stand alone or in a jumble, posing on or around a sofa in front of the Photo-Box – and in a single click, crazy shots are literally ‘in the box’…..edited and printed. Everyone gets to go home with a photo souvenir and can even leave their visual mark on a Visitors’ Book if they want to…..For the more serious, the Photo-Box also has a video function and can immortalize guests’ impressions of their stay or the evening…..for the less serious, creative or plain off-the-wall, the video can be memorable for other reasons!